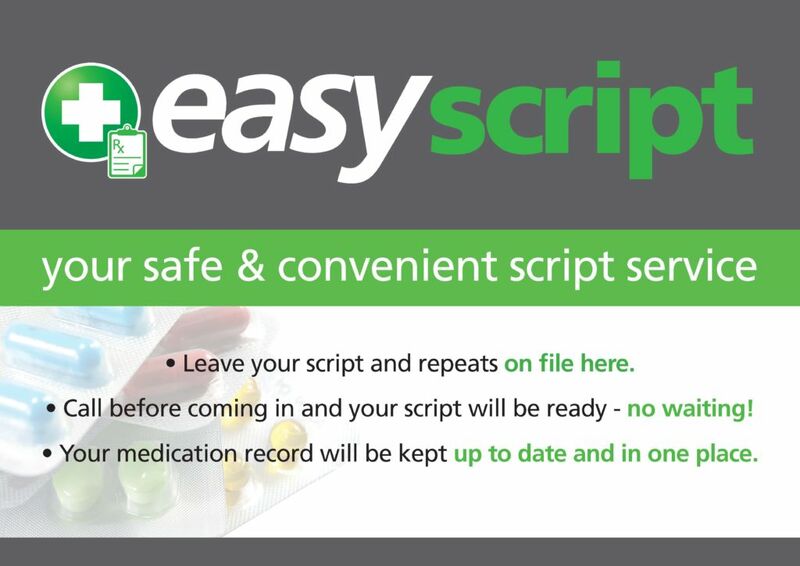 Our EasyScript service enables you to provide customers with a safe, easy and convenient way of managing their scripts. Customers no longer need to wait for their scripts. They can call before coming in and their script will be ready. Their medication record will be kept up to date and in one place. All the information is kept confidential and protected, and as their pharmacist, you are able to better manage their drug interactions as you are aware of all of the medications they are taking. We can even set up an SMS reminder so that your customers never forget to refill their script again.